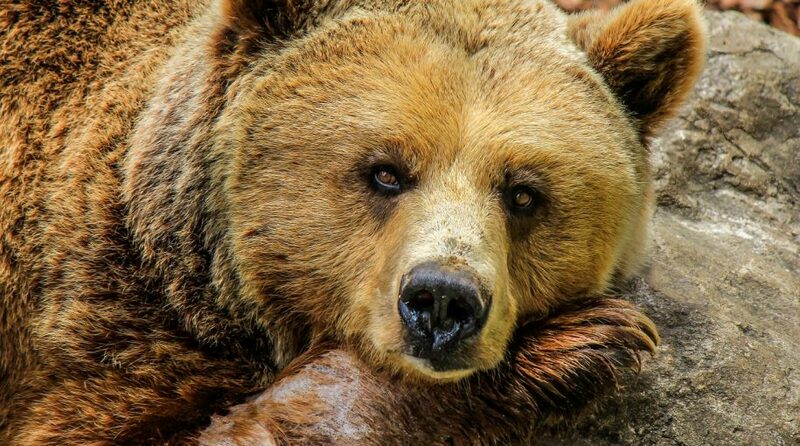 Volatility has returned to the markets after historical levels of dormancy. What does this mean for the ETF ecosystem? After almost $77 billion in inflows in January, what should we expect to see with increased volatility? 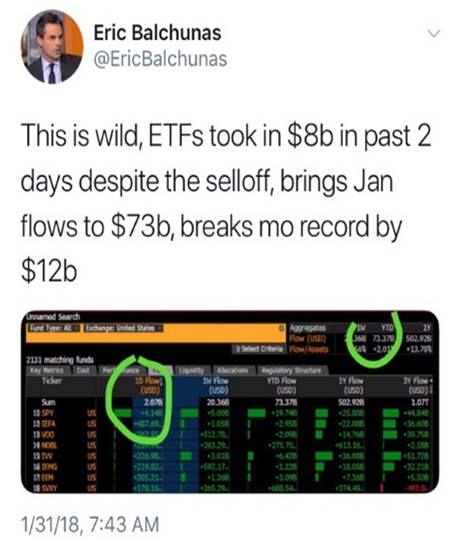 Bloomberg noted last week that ETF flows were strong even though we experienced a sharp market sell-off. 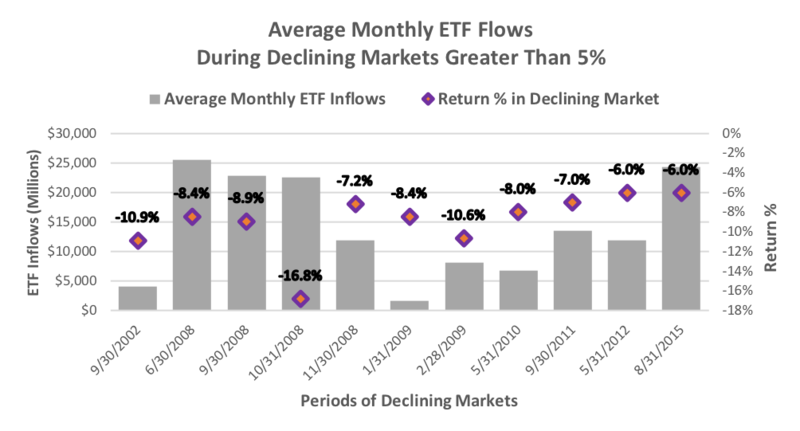 We decided to explore how ETF flows have historically responded to market declines. HOW HAS VOLATILITY AND MARKET DRAWDOWNS AFFECTED ETF FLOWS HISTORICALLY? We reviewed ETF monthly flows following a market pull back. Specifically, when S&P 500 returns were worse than -6%, we calculated the average of the following 3 months ETF flows. As you can see, negative returns have actually been beneficial for ETF flows! The table below is the 20 worst months for the S&P 500 returns over the last 20 years, and the average respective ETF and Mutual Fund flows in the following 3 months.